Cheating is more than just having an affair with another person other than your spouse or significant other. While most people associate infidelity with an affair with someone outside the relationship, there are also instances where cheating happens with money. While some people don’t realize that they’re already committing it, they’re already in too deep with it and one day, it will explode right in their faces and hurt them—money-wise and relationship-wise. 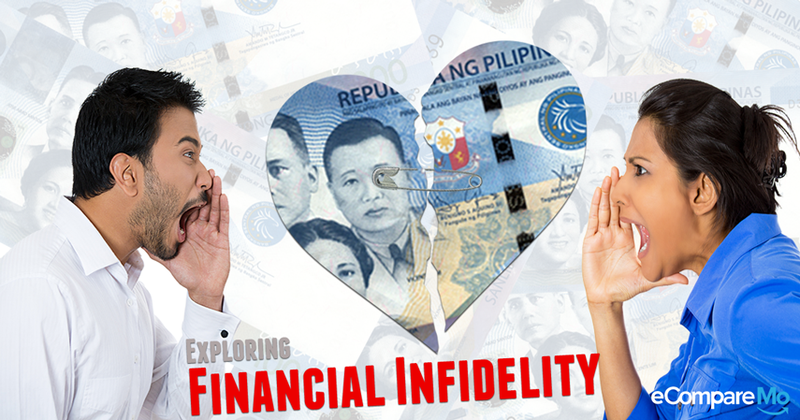 Financial infidelity, while not common especially in the Philippines, is something that happens to many households, even if they’re not aware that it is already occurring. While it doesn’t have a big impact like having a romantic affair, it can still hurt marriages to the point that all love and trust will be gone. If you’ve been keeping money secrets from your spouse, there might be a third party involved already and it can wreck homes and destroy relationships. Financial infidelity is something as simple as lying to your spouse regarding your finances. Whether it is something simple like little but frequent expenses kept on the down low or something as big as accumulating hidden debts like loans and credit card bills, it still constitutes as financial infidelity. Most especially in a typical Filipino setting where one works for the money and the other budgets and both keep an open line when it comes to money talks, keeping secrets can cause a multitude of problems and left unchecked, can ruin a marriage in the most unexpected way possible. In a nutshell, financial infidelity means keeping money-related secrets to your spouse. Regardless of the scale or amount undisclosed to your partner, once you keep the other person out of the loop, it is financial infidelity nonetheless. Keep an open line of communication with your spouse. Remember, problems start when you stop talking to your partner about your money problems—be it financial, physical, or any problem, for that matter. Once you’ve established an open line of communication, anything can be resolved with a simple talk. Disclose everything. Regardless of the magnitude of your problem, you need to tell your significant other your money problems. While it can cause arguments in the beginning, opening up your problems will allow you to find solutions. Whatever the case is, coming undone will keep your partner in the loop. Know that have a partner. Some people who commit financial infidelity think they are in that mess alone, and they have to shoulder the burden by themselves. However, you have to know that your partner is your co-pilot, and you have to go through turbulent times together especially when you’re living under one roof. Financial infidelity is something that occurs, whether you like it or not. However, the best thing you can do to avoid this from happening is by finding out how to communicate your money problems with your spouse. After all, you’re bound by love, and you shouldn’t allow money to become the wedge that will split you.